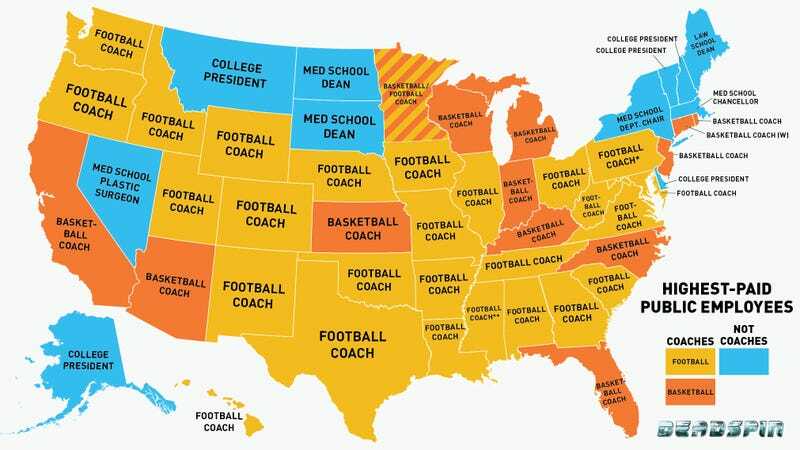 At today's proceedings of O'Bannon v. NCAA, an antitrust suit which seeks to give players a share of the profits off their likenesses, the NCAA's lawyers successfully objected to the entry into evidence of our map showing that coaches are the highest-paid public employees in 39 of 50 states. The judge apparently called the map "argumentative." Below, our original post explaining how the map was created.